This is my last contribution to The Kurdistan Tribune. The political solution for the conflict in Syria will be a partition into three administrative zones with regional autonomy. A threefold partition, that is: in the East towards the Tigris the Sunnite Arab tribes, in the West the Sjiite Alawites towards the Mediterranean and in the North the many different ethnic and religious minorities, among which the Kurds form the greatest part as a buffer against an always hostile Turkey. 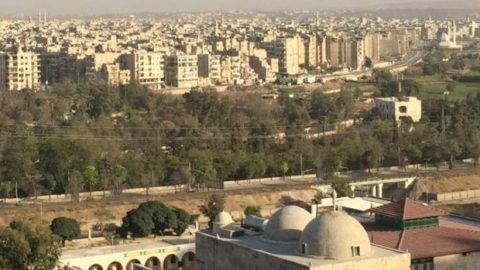 There may be some discussions whether Damascus should remain Syria’s capital or a completely rebuilt Aleppo should become the country’s capital as the cultural and economic centre that it was before the war, then being for Syria the open gate to the rest of the world like Hongkong in China. The only issue in the region that should still be solved by the United Nations is the position of Hatay which de jure belongs to Syria and has been unlawfully handed over by France to Turkey in 1939. When restored as a province to Syria, a new oil pipeline through Rojava might directly transport the oil from Bashur in Iraq to the Mediterranean and the administration of the KRG would not depend anymore on the whims of the president of the moment in charge in Turkey. It is to be expected that – with a little help of the Russians – Arabs, Kurds and Alawites in Syria themselves will find a balanced, diplomatic solution for the administrative reconstruction of Syria. Amen.